I’m secretly in love with an upcoming drama. And I DON’T KNOW WHY. Although I think I might. Okay. I totally do. And that is crazy shallow of me, bad Stephanie, bad! 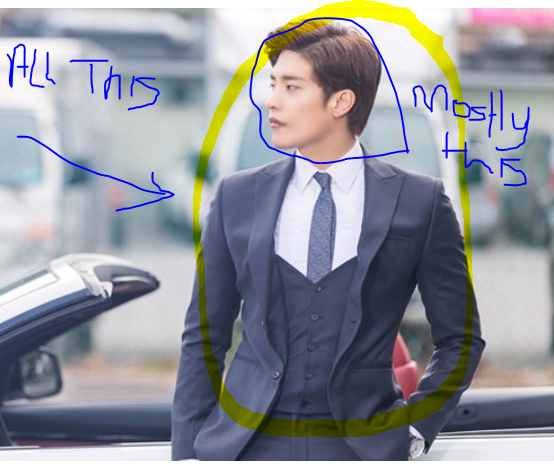 Turns out, surprise to me I’m a huge Sung Hoon fan. I literally had no idea until I saw reports on his new show, My Secret Romance, and literally, from out of nowhere, had a wahooo moment. Why? I have no idea! I’ve only seen him in 2 shows one of which he played a henchman with limited screen time (Faith) and as a lead in a mini drama (Noble My Love) although to be honest, while I don’t like where that drama started, I don’t like where it ended, I still come out with positive feelings for it. So. OCN, known for its gritty crime dramas (God’s Quiz, Bad Guys, that really bloody one with Kim Bum) has decided to dip it’s toe into romantic comedies with My Secret Romance, the story of a pair who have a one night stand and then meet up again years to later when she hires on at his company. He is the required chaebol heir, she is the cutesy heroine. Add in one kindhearted b-lead and you’ve got yourself a kdrama. I guess if you’re going to dip your toe into this pool, you should probably stick to the tropes, right? I’d give it an eye roll, but honestly, it sounds cute. Tropes become tropes for a reason I guess. This drama is all preproduced, which I love and premieres in April, which is close, so that’s nice too! Oh! It’s a spring romances. Fitting. Good luck OCN in your new un-bloodied adventure. It’s nice to see people trying to step outside the box and if you think you’ll be able to raise your profile by adding a rom-com, well, looking at the kdrama audience out there, I don’t think your wrong. Looks really cute!! So excited to see him in a leading role. I loved him in Oh My Venus and 5 Children. Couldn’t stomach Noble My Love, but that wasn’t his fault. He seems to have a lot of range as an actor (all three of those roles were very different) and I can’t help it… He’s a khottie for sure! Thanks for letting us know about this one! He was in New Tales of Gisaeng where he was loving and ready to give up his priveleged life for the heroine – I highly recommend it. Also, playing up his swimming background, there were a lot of reasonable pool scenes. Big Plus! !